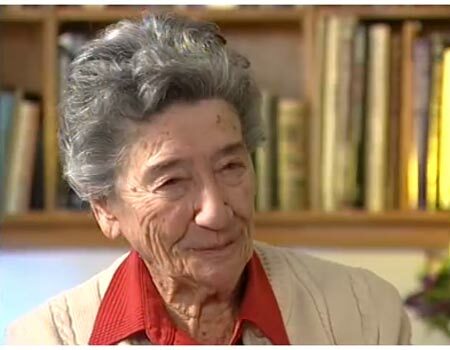 This morning I heard that Savta Fanny passed away this last Shabbat at the age of 96. Savta Fanny Roselaar was the grandmother of singers Yonatan, Aaron Razel, and Ricka Razel and over the last two decades or so I would meet her at Razel family events–brises, bar mitzvahs, baby-namings etc. I was really fond of Savta Fanny, until the end she was a very strong, vivacious, regal woman. And she had an amazing smile. Savta Fanny was born in 1920 in Germany. When, in 1933, Hitler forbade Jews from attending German schools, 13-year-old Fanny, in disbelief (and with characteristic determination) showed up at school anyway. The principal, whom she had previously greatly admired, slapped her across the face and called her a “Jewish swine” who was not welcome at his school. At that point her parents realized the time had come to flee Germany to Holland. By the time the Nazis entered Holland, Fanny was married and expecting her first child. Righteous gentiles hid Fanny and her family for two years, and she and her immediate family survived the war. Tragically, most of her extended family did not. another survivor, Fanny Roselaar, became the grandmother of the some of today’s greatest Jewish musicians. This reminds me, again, of the unfathomable tragedy and loss of the 6 million, 6 million souls with infinite potential snuffed out like candles in the darkest of nights. 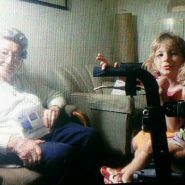 Savta Fanny visits with 2 of her great-granddaughters 3 weeks ago. Since that kiddush many more great-grandchildren were born to Savta Fanny–she is survived by 45 great-grandchildren and 3 great-great grandchildren who loved her very much. And until the end, even when it was extremely difficult, Savta Fanny made sure to attend every simcha, remembering her loved ones who had been taken, and counting every grandchild, great-grandchild, and great-great grandchildren she had been given with profound joy and gratitude. 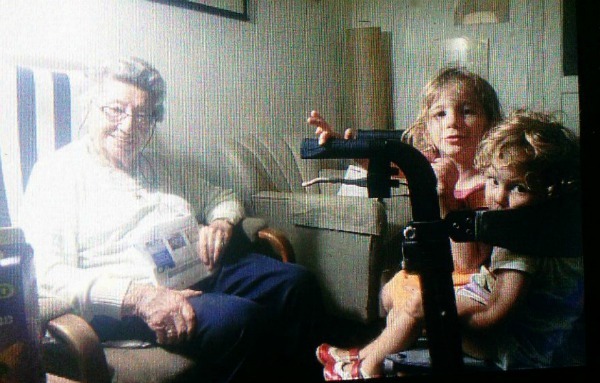 Here is a video made about Savta Fanny’s visit to her childhood school with her sister, Betty. Warm-hearted and respectful tone of writing. Thank you Chana Jenny. May her memory be for a blessing… She had the right attitude…Thanks for posting this.